The authors Cathy Farnworth, Melinda Fones Sundell, Akinyi Nzioki, Violet Shivutse, and Marion Davis start from the premise that empowered women and men are better, more successful farmers who can make the most of the opportunities around them. They argue that there is a causal relation between more equal gender relations in the household and in the community, and better agricultural outcomes: the one underpins the other. 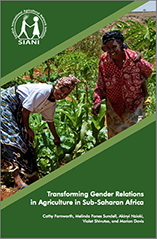 This book grew out of a feeling shared by many of us whose work in the agricultural sector has been affected by gender roles at all levels that the role of gender is viewed too much as an obstacle or a constraint, when working with gender can actually free up resources and enable us to participate in more rewarding and more sustainable development of the agricultural sector. Based on this optimism about the possibilities for field implementation, we also felt that the problems created by gender inequality are by now fairly well understood in the academic debate, and what was needed was a source of inspiration for implementers. While we do work with a theoretical framework, outlined primarily in Chapter 2, we hope that what is most useful about this book is the highlighting of actual experience which has served to reinforce this theoretical model. Gender roles affect how systems work at all levels: from the individual, to interactions within households and communities, to local, regional and national institutions, to the global socio-economic institutions and systems. Agricultural production is an economic activity greatly affected by the way in which men and women interact at all levels, and enabling them to interact in new ways will free up important resources for food production and poverty alleviation. Solutions to the problems created by gender inequality need to be implemented as part of a greater package which will allow support and reinforcement to come from all levels. In terms of the agricultural sector, “Think Globally, Act Locally” is a useful approach. Policies and enabling environment should be in place, but action is necessary at the local level. 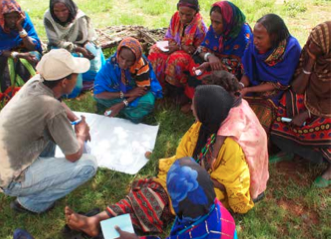 Local action requires that there are structures which facilitate the use of grassroots- level knowledge and participation. While it is important to analyze the situation of the individual, very little can be done in terms of transformative change if individuals do not organize themselves in some way, both to press for change, and to make it feasible to reach them with programs and investments. This is why women’s self-help groups and cooperatives have played such a crucial role in agricultural development in Africa. It is important to build constructive settings or enabling environments in which greater equity can be achieved with a minimum of confrontation and conflict. People are the resource whose input into agricultural production and rural development needs to be strengthened: conflict saps strength. Farnworth., C., Sundell, M,F., Nzioki, A., Shivutse, V., Davis, M., 2013. 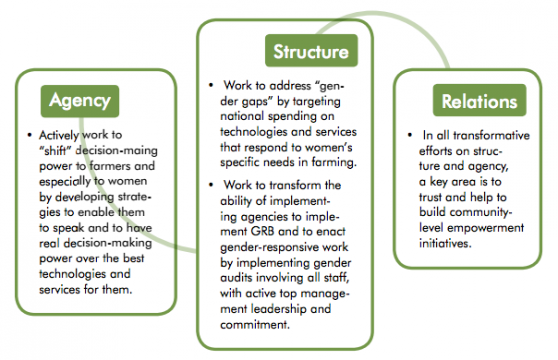 Transforming Gender Relations in Agriculture in Sub-Saharan Africa. Swedish International Agricultural Network Initiative (SIANI).